Palm Beach Gardens Movers – There are few things in life as cumbersome as a move. But with the right moving company it can be a breeze. 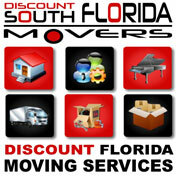 Discount South Florida Movers has been in operation for over fifteen years. Our team of professionals strive to give you the peace of mind that comes with an easy moving experience. We guarantee that you will be satisfied with rates and service. No matter what you need for your residential or office move, we can provide you with what is needed. Our experts will walk you through the process from start to finish. We can accommodate many special requests including moving pianos, artwork and antiques, as well as move items directly to storage. Come request a free, no obligation estimate today and let us show you how we can help at the lowest rates around. Palm Beach Gardens is a large city in northern Palm Beach County. Sitting on 55 square miles of land, this city boasts a population of 48,000. The city began in 1959 when John D. MacArthur bought a huge tract of land which had previously been cattle ranches and swamp. Like other municipalities in the area, MacArthur successfully developed the land for and attracted a large population in short period of time. Just like other areas that have Palm Beach in their name, the city is a huge gold town. There are 12 courses in the city limits including a municipal course. The Professional Golfers’ Association of America is headquartered in the city. It has hosted many world famous golf tournaments in the past including the 1983 Ryder Cup and the 1987 PGA Championship. Discount South Florida and Palm Beach Gardens movers provide low rates on residential, commercial, piano and long distance moving.